The “Hamburgische Investitions- und Förderbank” (IFB) has financed its 100th startup. 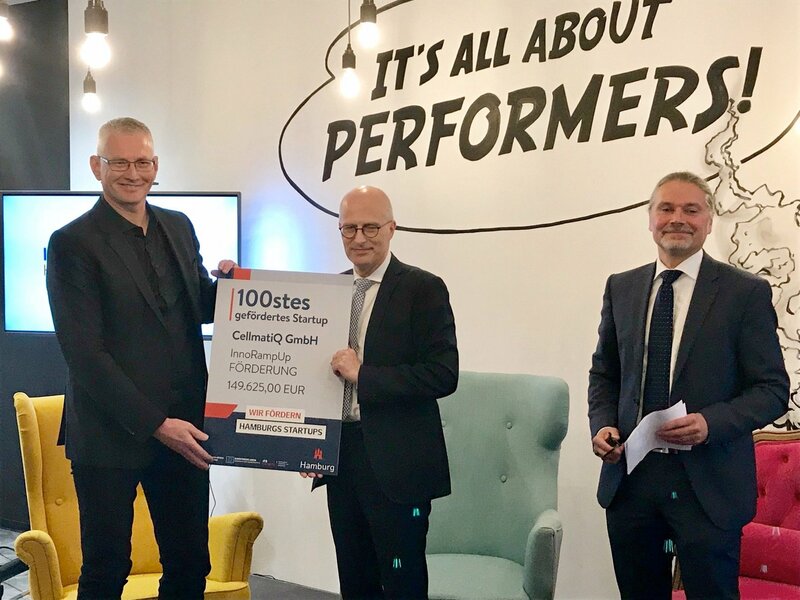 Hamburg’s First Mayor, Dr. Peter Tschentscher, presented the symbolic grant letter to CellmatiQ. A big “Thank you!” from the CellmatiQ team to the IFB, the city of Hamburg and all involved parties for the event. We are very grateful for having received this honour!